Times are changing for Pakistan’s emerging ICT industry. Recent political changes favour local technology development and the new government is looking to boost the country’s economic activity by encouraging mass adoption of digital technologies. This, at least, was the message Professor Ahsan Iqbal, Federal Minister for Planning, Development and Reform, conveyed to a group of leading Pakistani entrepreneurs, IT professionals and the Silicon Valley academia in San Jose, California recently. Pakistan, the world’s sixth most populous country, is yet to exploit its existing IT infrastructure and market potential to foster this growth. Despite about 70% of the population being cellular subscribers, Pakistan ranks 104th out of 144 countries in terms of ICT utilisation and infrastructure, according to the World Economic Forum’s Global Information Technology Report for 2013. According to another study, the Connectivity Scorecard index, which measures the ability to use established ICT infrastructure effectively, Pakistan ranked second-last, above only Kenya of the 26 “resource-driven” economies analysed. Advanced economies adopt digitisation to disrupt and innovate, thus facilitating socio-economic growth and productivity even when the global economy is weak. 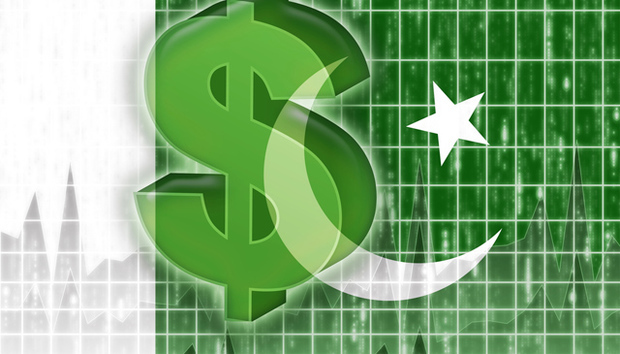 By contrast, Pakistan’s emerging ICT market often fails to attract foreign investment due to unfavorable government policies, lacking skills and security concerns. When asked to advise a framework for effectively exploiting the ICT sector for employment, the professor said the local ICT industry needs to gain a competitive edge in the global marketplace to attract foreign investors. The absence of a well-established ICT ecosystem means foreign investors can expect low competition and high returns on investments by tapping the vast unexploited potential of Pakistan’s emerging ICT market. Recent ICT trends suggest investments in emerging ICT markets yield high employment gains for young IT professionals. In 2011, 94% of all employment gains due to digitisation were achieved in emerging ICT markets. These tend to be densely populated countries but deprived of modern data services, similar to Pakistan. Dr. Sarfaraz Alam, CEO of Texpo, a Dubai-headquartered international IT consulting firm, has paved the way for foreign investors to explore Pakistan’s ICT sector by organising international exhibitions and conferences in the country every year since 2001. The Texpo-sponsored ITCN Asia conference held this September attracted thousands of IT professionals and executives from local public and private organisations interested in ICT products and services offered by international vendors. Representatives from companies including Extreme Networks and Microsoft demonstrated their capabilities. The event concluded with the British Deputy High Commissioner Mike Reilly awarding scholarships to 34 IT students from Pakistan as part of Texpo’s ‘Mentoring a Talent’ initiative aimed at helping South Asian students reach their potential in IT education. Minister Ahsan believes these programmes, along with his Vision 2025 project, will help grow the local ICT market and reduce unemployment from its current rate of about 5.6% and broader underemployment. Ali Raza is a business and technology consultant who covers consumer and enterprise technology issues for US and international publications. As a racing driver and a stunt master, only cars eclipse his love for technology.